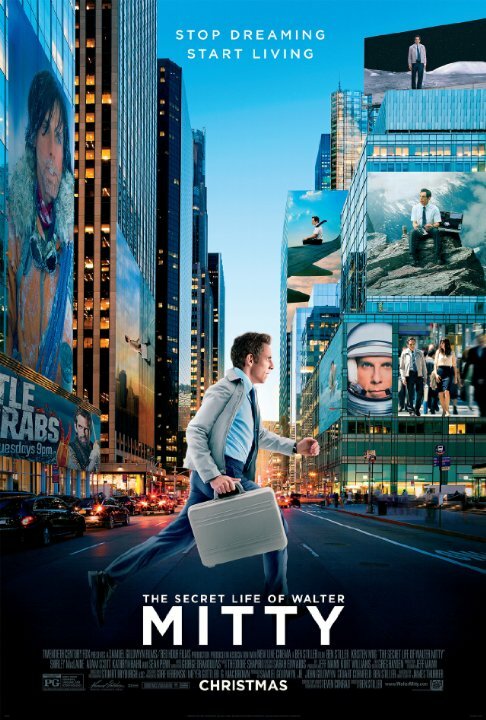 The Secret Life of Walter Mitty is an extremely shallow film. By that I mean its very predictable and clumsy writing, its PG-rated almost romance and the absolute waste of good actors and good potential. I'll say it straight up: I am so sick of these self-important, shallow little movies that prolong the trailer and end. This one is no exception. Let's get this out of the way: Ben Stiller is a good director. He directed this film with a lot of heart and flair, and you could see it meant a lot to him. Sometimes his overly stylistic takes worked and seemed beautiful, other times I just didn't care about his over-saturated color framing, uneven focus and skateboard-driving character anymore. I found myself scratching my head at how bad and unambitious these actors felt to me in their roles. Ben Stiller should stop casting himself in his own films, he just can't act dramatic roles. Kristen Wiig was fine, but also underwhelming. Like I said before, Stiller and Wiig's on-screen chemistry can't be distinguished from a chat between takes. Seriously, could they be any less motivated? Sean Penn is also wasted, being mostly watered down to that typical bearded, longhaired photographer junkie that says maybe ten lines in the whole movie. Adam Scott's character just made me sigh. What kind of a person is that? He just plays... a mean guy. The screenplay really needed some work. At no point could I find a good joke in this film. It is an absolute comedy 'disasterpiece'. Not one single joke was good. I hate to be that guy that says 'I knew they were going to do that', but this movie really is predictable every step of the way. It gives us clich� after clich� and still presents such an unsuitable, whimsical, self-important style that doesn't suit this genre. The Papa John's product placement was also quite unsubtle. This film's problem is its own existence. What kind of a film is this, really? Its direction and tone didn't suit the type of film it was, it absolutely wastes its own potential and its actors' talents, breaks no emotional or comedic barriers and altogether refuses to ever leave its comfort zone or do anything remotely dangerous or promising. Oddly enough, Stiller's new film resembles a fortune cookie. It's sweet and easy to get through on the surface, but it is hollow on the inside, providing a very obvious and straightforward message.